There is something to be said about a musician that has gigged alongside John Mayer in the Bahamas and has toured from Norway to California before the release of his debut album. 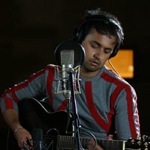 Meet Zameer, a world-class singer/songwriter of South Asian origin, with his debut album slated for release in April 2009. Zameer's influences range from bands like Wham and N'Sync, Metallica and Alice In Chains, all the way to Eric Clapton and Sting. The result has spun Zameer's music into a pop/rock fiber that has attracted five-time Grammy award-winning producer, Steve Thompson, to produce his first album (Steve has produced Madonna, John Lennon and several others). In the past, Zameer's unique musical style has led him to an invitation to exhibit his craft at a music industry showcase at the Fairmont Royal York during Canadian Music Week 2008. Zameer's debut single 'Win or Defeat', produced in partnership with Canada's Paralympic Team, has created waves with its regular airplay on MuchMusic and MTV. With the music video starring Canada's Paralympic Gold Medalists, partial sales from Zameer's song are being channelled towards the Canadian Paralympic Foundation. Drawn to music at a very early age, Zameer has always tried to make the most of his love for melody. Zameer spent eight months studying the mathematical ingredients of some of this era's hit music. His research paper, titled 'Auditory Scene Analysis of 20th Century Popular Music' was published by the Department of Electrical and Computer Engineering at the University of Western Ontario.